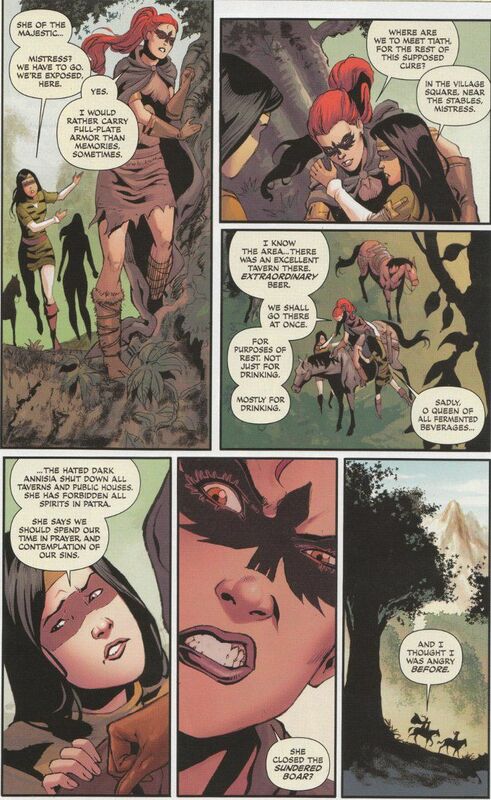 Red Sonja #5 continues Gail Simone's redefinition of the legend of the She Devil of Hyrkania. This chapter sees Sonja newly retrieved from exile with a promise of a cure for the illness that plagues her. By the issue's end, she will once again face her former friend and fellow survivor of the arenas of Zamora - Dark Annisia! The script features much of Simone's famous humor, such as Sonja's bodyguards continuing their efforts to create impressive titles for their mistress. Yet there are also many mysteries that push the plot forward, continuing to hold the readers' interest despite this issue largely being set-up for the conclusion of the first story arc. The final page offers a surprising revelation that demands an interesting explanation next month. Walter Geovani's art continues to impress. 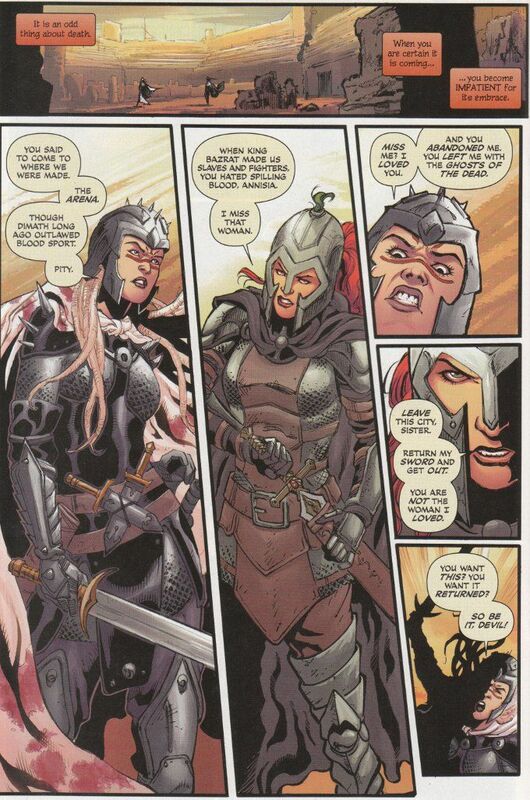 I felt he was one of the most underrated artists to work on the previous Red Sonja title. It is good to see him sitting on the monthly title on a regular basis. Hopefully this partnership will continue for a long time to come.